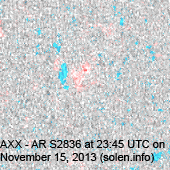 Last major update issued on November 16, 2013 at 06:05 UTC. 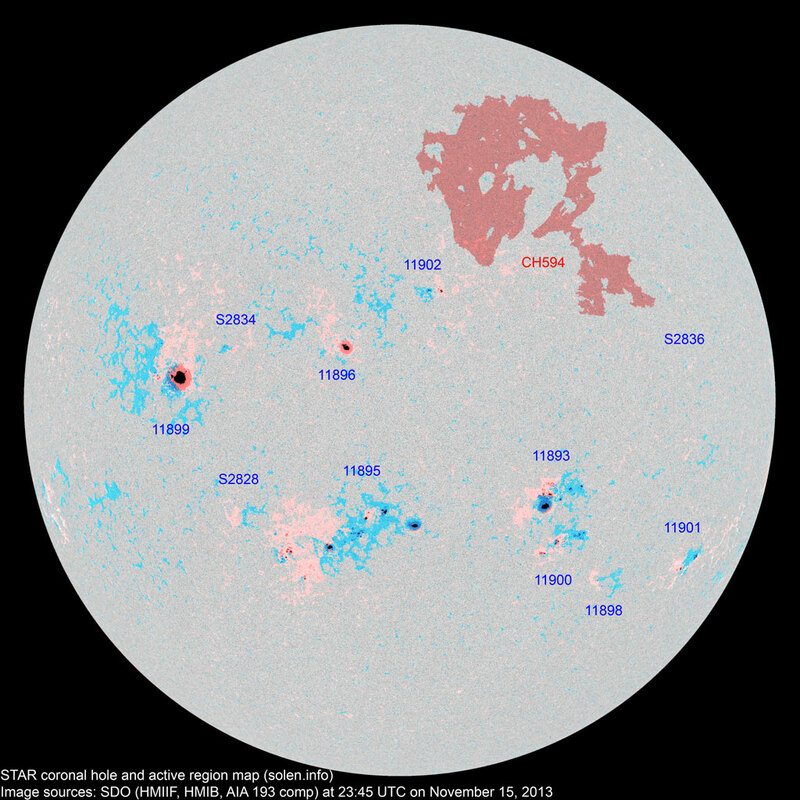 The geomagnetic field was quiet to unsettled on November 15. 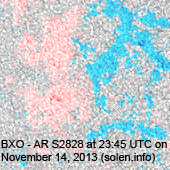 Solar wind speed at SOHO ranged between 323 and 356 km/s. 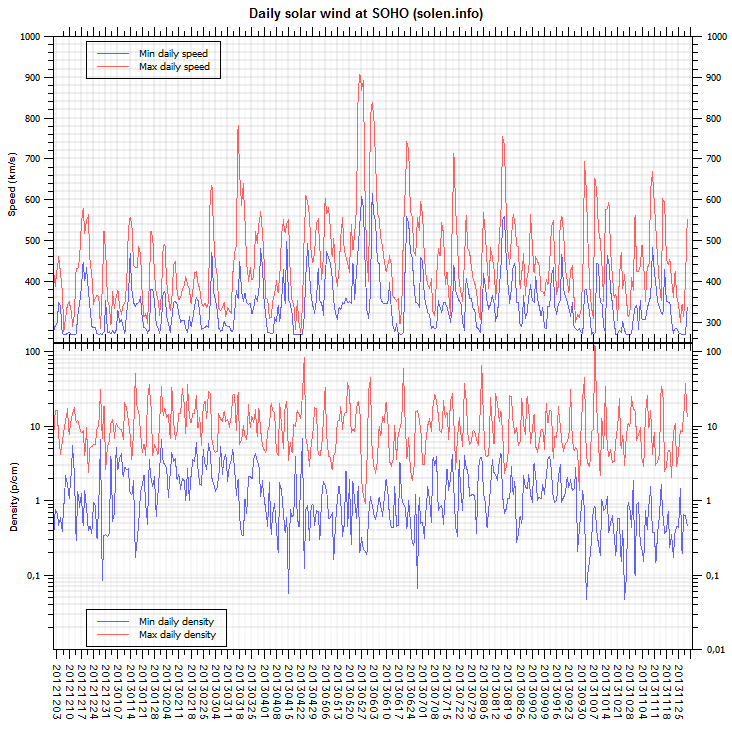 Wind density increased slowly after noon and peaked just before midnight indicating the arrival of a weak stream from CH594. 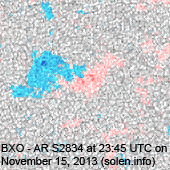 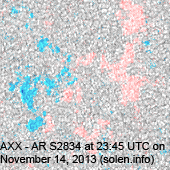 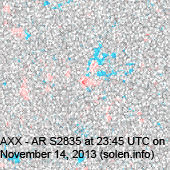 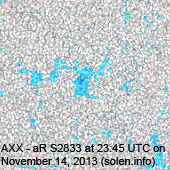 Solar flux measured at 20h UTC on 2.8 GHz was 177.9 (increasing 45.2 over the last solar rotation). 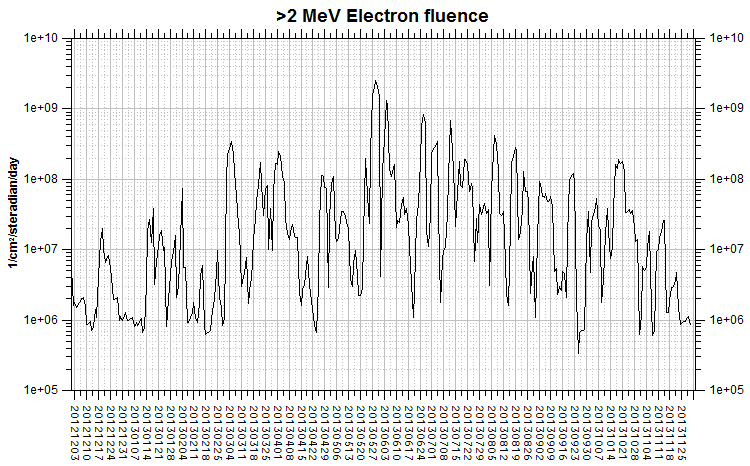 The 90 day 10.7 flux at 1 AU was 124.0. 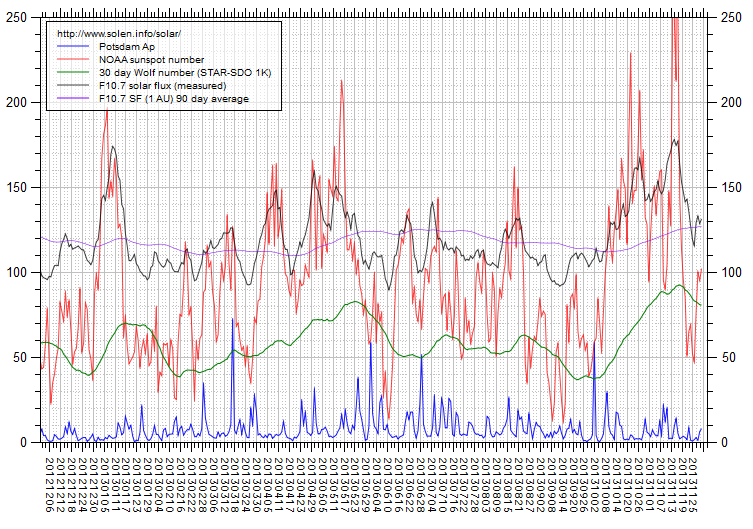 The Potsdam WDC planetary A index was 8 (STAR Ap - based on the mean of three hour interval ap indices: 7.9). 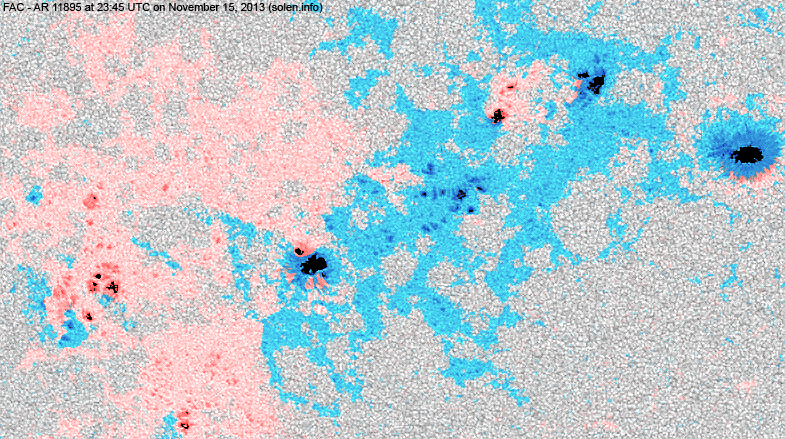 Three hour interval K indices: 22111233 (planetary), 12122324 (Boulder). At the time of counting spots (see image time) spots were observed in 11 active regions in 2K resolution (SN: 379) and 9 active regions in 1K resolution (SN: 208) SDO images on the visible solar disk. 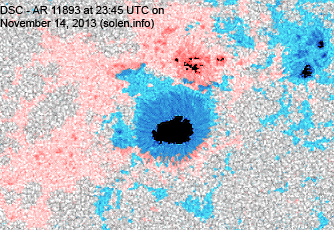 Region 11893 [S13W23] developed slowly and could produce C and minor M class flares. 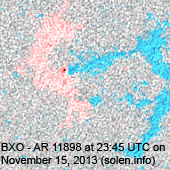 Region 11895 [S18E07] developed in the leading section while slow decay was observed in the trailing spot section. 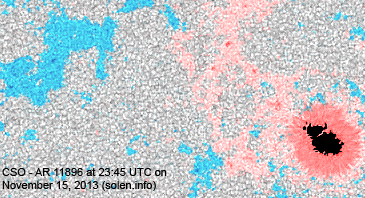 There is a weak magnetic delta structure in a central penumbra. 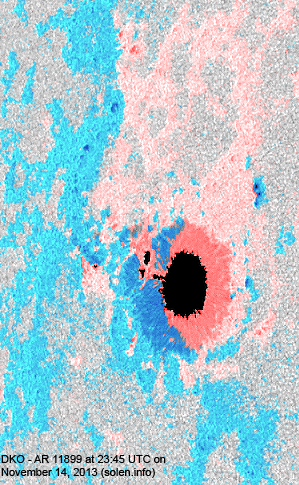 M class flares are possible. 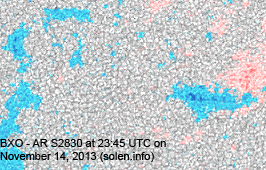 C5+ flares: C7.5/1N at 11:35 UTC. 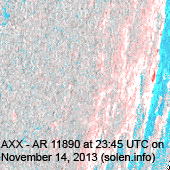 Region 11896 [N10E09] was quiet and stable. 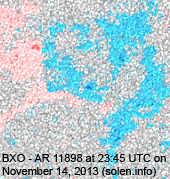 Region 11898 [S27W37] was quiet and stable. 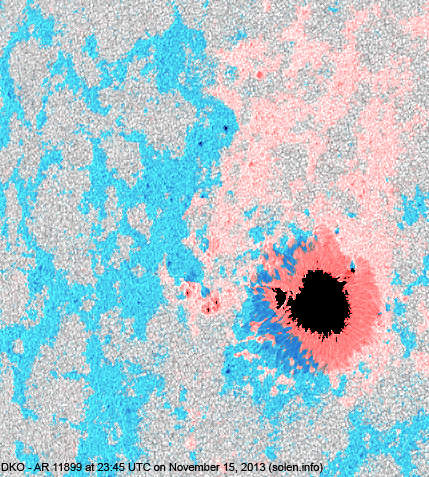 Region 11899 [N05E36] was mostly unchanged apart from a new umbra emerging in the northwestern part of the main penumbra. 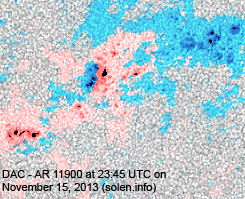 There is polarity intermixing and a chance of a major flare. 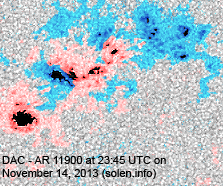 C5+ flares: M1.0 at 02:29 UTC. 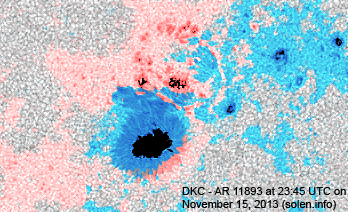 Region 11900 [S20W27] decayed slightly and was mostly quiet. 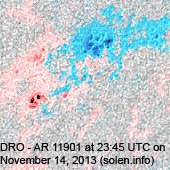 Region 11901 [S24W57] developed slowly and quietly. 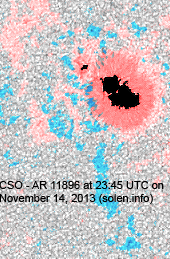 New region 11902 [N19W05] emerged on November 13 and was numbered by SWPC 2 days later. 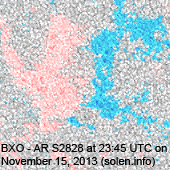 S2828 [S16E26] was quiet and stable. 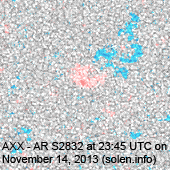 S2834 [N10E27] developed slowly and quietly. 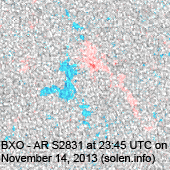 New region S2836 [N07W51] emerged with a penumbra spot. 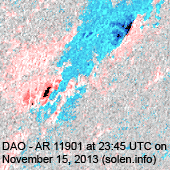 November 13-15: No obviously Earth directed CMEs were observed in LASCO and STEREO imagery. 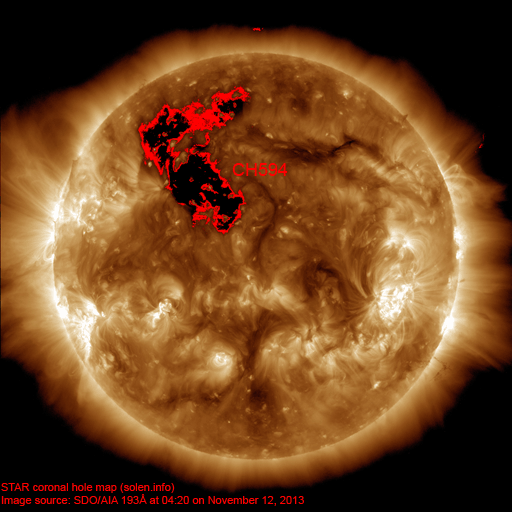 The geomagnetic field is expected to be quiet to active on November 16 due to effects from CH594. 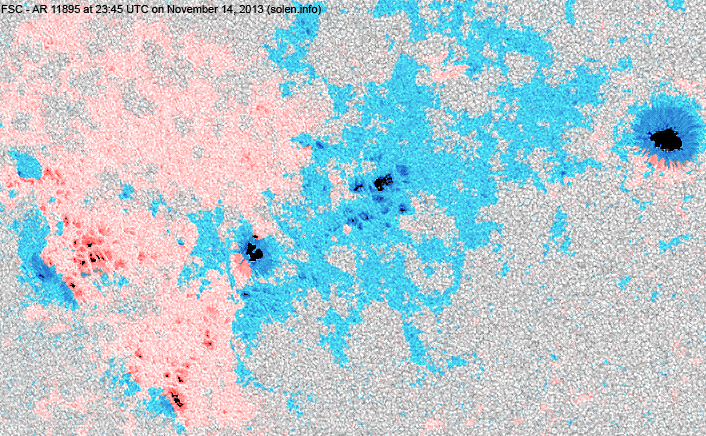 Quiet conditions are likely on November 17-18.